The first and only vice-presidential debate was Tuesday night and while there wasn’t as much yelling, interruptions, and flat-out tantrums as the first presidential debate, it still had its cringe-worthy moments. 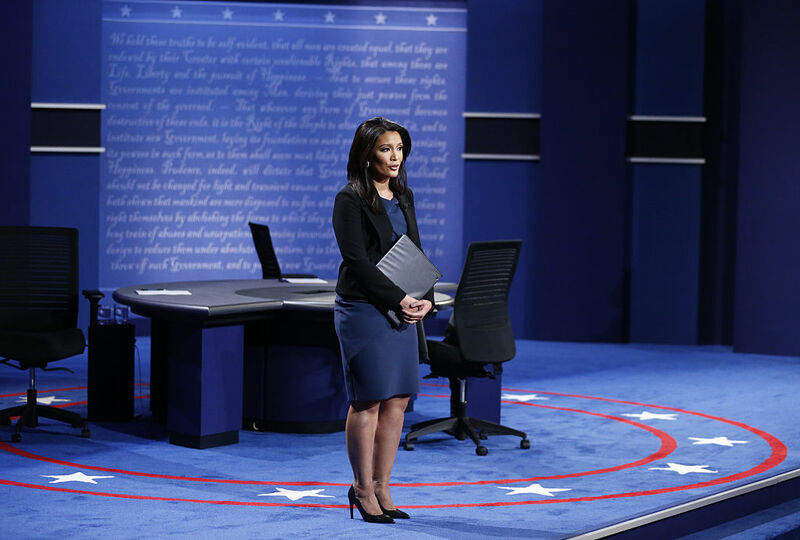 Thankfully, boss moderator Elaine Quijano didn’t let the candidates get away with childish behavior. She firmly and respectfully called out the candidates if they started acting up or ignoring her questions. Of course, we all loved it. Here are some the most boss moments of the evening. Every time she said "gentleman" or "please"
"gentlemen, i want to move on." Not only did she put them in their place if they talked over her or each other, she also made sure they answered her questions. You know, like you are supposed to do as vice-presidential candidates in a debate. Even though Quijano did her best to keep the debate on track, boys will be boys. The VP candidates still interrupted her 27 times. Biggest boss moment of the evening goes to the shattering of the glass ceiling for Asian American women. Quijano is the first Asian-American to moderate a presidential or vice presidential debate. Killing it!